IBS is a health condition that can feel very isolating. Many people who are affected note that their social life suffered dramatically since they started to experience symptoms. Turning down invitations to events and gatherings, feeling embarrassed talking about the diagnosis, while generally not feeling like your old self all play their part. Despite it feeling isolating, the condition is more common than most think – one in five people in the UK suffer from it at some point in their life, with women twice as likely to be affected then men. Jasmine introduces herself as ‘a mindset coach, writer, souladventure goddess and speaker with relentless positivity. I had what I consider my first “IBS ATTACK” during my first week of band camp. I ate a SALAD at the cafeteria on lunch. It was iceberg lettuce with some tomatoes and green peppers, like one of those house salads from a terrible Italian restaurant. That salad left me (as a salad) a couple hours later. I had to SPRINT to the nearest building and barely made it. By the grace of god, there was no one in the ladies room. 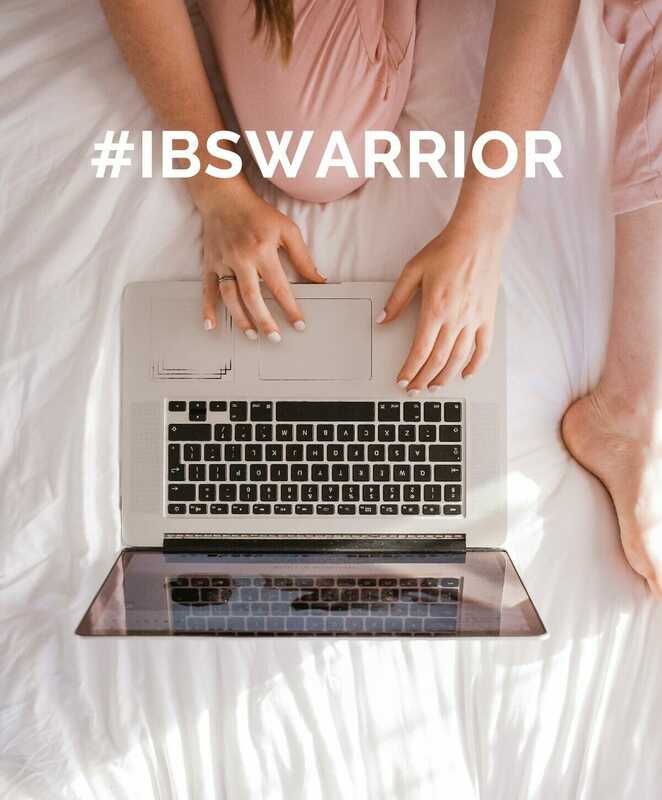 Open about all the ‘glamour’ of the condition, Jasmine shares her journey from that salad episode and back to health though a combination of diet and mindfulness, insisting that IBS should stop being viewed as a stomach condition but instead recognised as a brain-gut disorder: ‘IBS is so much more than a bowel thing. It’s not just physical constipation or diarrhoea but emotional CONSTIPATION + DIARRHEA. You have to trust that what your body is telling you is for a PURPOSE. It’s alerting you to it, so that you can HEAL your body AND your mind. Sometimes you gotta breakdown before you breakthrough’. In 2013/14 I began to feel very ill on an almost daily basis – it started with bloating and nausea but soon developed into being physically sick at least once a day, which I soon linked to eating. My love for going out for dinner quickly stopped; worrying that people would hear and talk, or family and friends would notice and think the worst. Having to start her food intake/tummy reaction diary for the medical purpose of discovering the list of intolerances, Lottie has grown into a prominent online ambassador for a low FODMAP eating and cooking, often sharing what’s on her plate and how to make it. There are many suggestions on her profile and blog for social eating, whether it’s what to cook for a dinner party or choosing a restaurant with low FODMAP options, and also things that go beyond food, such as why it is important to keep the thought journal to help with anxiety: “For me, my diet is only half of the problem. The rest is in my head,” she says. ‘Go to bed with a dream and wake up with a plan’. ‘It is not easy waking up to work out before work. It’s not always easy meal prepping healthy meals. It’s not free, it comes at a price. It’s not easy to lack health. It’s draining, exhausting and emotionally difficult. Health care is expensive and often doesn’t end in perfect health for people like me with GI issues. That comes at an even higher price. Lifestyle changes aren’t always easy, but they are so worth it. I’d rather be struggling to get out of bed at 5am to work out than struggling to get out of bed period… Choose your future health today and treat your body right. Lena is a student and lives in London. Diagnosed in 2011, she says that the most frustrating part of living with the condition for her is ‘having to skip social events because feeling unwell or not being able to eat everything’. To help people experiencing IBS, TalkHealth has launched myIBS (https://enteromed.co.uk/new-support-programme-for-anyone-with-ibs/), a free 12-week support programme written by medical experts. It is sponsored by Enterosgel UK, an innovative drug-free treatment of IBS symptoms, and consists of dedicated information covering symptoms and treatments, common triggers and irritants, tests, diet, the psychological impact of living with IBS, plus tips on questions for patients to ask their doctor. If you have IBS, or suspect you do, you might feel confused about what to eat or worried you’ll never get better. IBS can be incredibly frustrating to live with and the symptoms will vary from person to person. It’s a widely written about topic, but advice on how to effectively manage and live with the condition can cause confusion; and what works for one, may not work for another. Long-haul holidays are full of fun: blue skies, beaches and fantastic food. Aside from all the joys that a holiday can bring, research shows that at least 20% of travellers are struck down with the dreaded traveller’s tummy, which can leave you confined to your hotel room and not having much fun at all. IBS flare ups – which can include bloating, bouts of stomach cramps, diarrhoea and constipation – can happen at any time. They’re notoriously unpredictable, and they can make you feel pretty rubbish. Bloating and tummy distention are often pleas from your gut for a bit of tender loving care. While diet and a hectic social life are common culprits and often the cause of bloating, you don’t have to ditch the food and lifestyle you love to achieve a slimmer, less bloated silhouette.